Apple has released the final version of Mac OS X 10.10.4 Yosemite, which brings a few new features along with several bug fixes and performance improvements. With its yearly release cycle, its good to see Apple has shifted its focus on improving the overall day-to-day experience for the user instead of cramming in new features with every OS X release. For example, users who have been facing the dreaded network related issues since day one will be pleased to learn that Apple has finally resolved all WiFi related woes by removing discoveryd process. So networking should be faster, stable and more reliable from 10.10.4 onwards. Furthermore, the Migration Assistant tool has been given bug fix treatment as well and should be more reliable than previous releases thus far. And if you’re a user who makes use of an external display with your Mac, then there’s good news for you too, as all issues pertaining to external panels has been resolved in this release. If you’re an Aperture or iPhoto user, OS X 10.10.4 resolves all woes when transferring libraries to the new Photos app. iCloud Photo Library users should notice a tinge of reliability in the syncing process as well. You can download the OS X 10.10.4 Yosemite update directly from the Mac App Store, by launching the app and clicking the 'Updates' tab on top. After a few seconds, you should be presented with the option to install the OS X 10.10.4 update on your Mac. Since OS X 10.10.4 update is around 1.09GB in size, it might take a while to download and install, depending on your Internet connection. 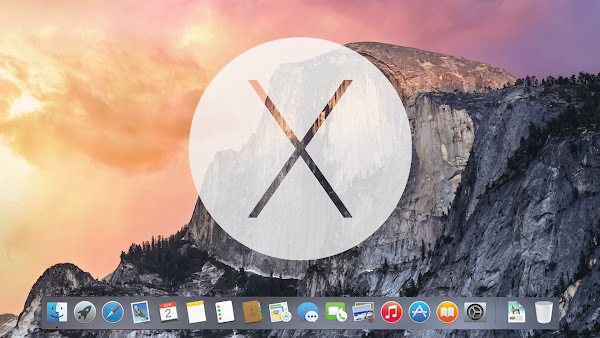 Apple is also working on OS X 10.11 El Capitan, which should be released this fall. However, users are recommended to install the OS X 10.10.4 update due to the great fixes and performance enhancements which assures a more stable Mac usage experience. Besides OS X 10.10.4, Apple also released iOS 8.4 for the iPhone, iPad and iPod Touch with support for Apple Music.